Vintage TIMEX women's wrist watch with Hong Kong bracelet. 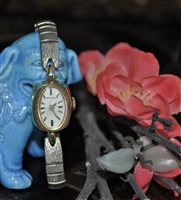 Vintage elegant TIMEX women's wrist watch with Hong Kong bracelet. ELGIN women's watch EK601-07 5Y30 Diamond Quarts in Japanese bracelet. Amazing Elgin wrist watch with Japanese bracelet. New Versus by Versace Soho Quartz Chronograph watch with leather strap. Red Versus by Versace Key Biscayne Analog women's watch. Aragon 50 mm Ultra open heart automatic wrist watch for men in a very elegant and sporty design. Elegant blue canvas strap SOHO Versus by Versace men wrist watch, 44mm Quartz Chronograph in a box, new.